Chest X-ray. 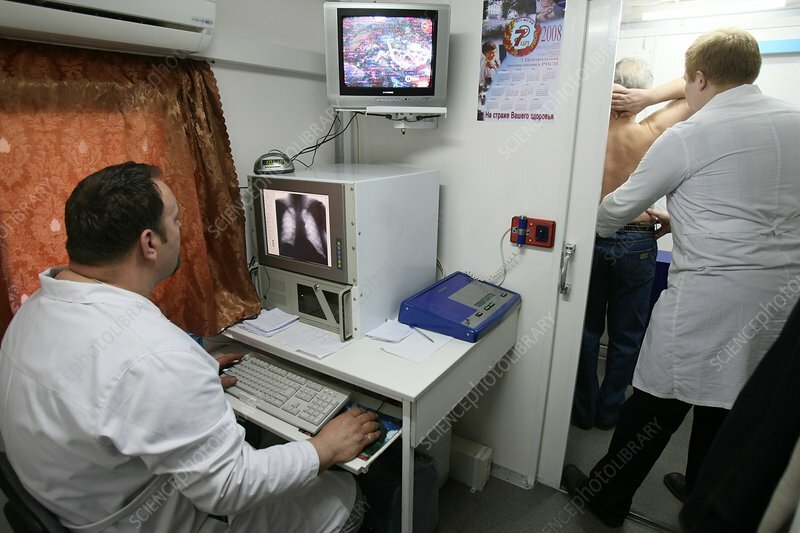 Patient undergoing a photofluorography chest X-ray at a mobile screening clinic. Chest photofluorography is a fluoroscopy technique often used for mass screening for tuberculosis. Fluoroscopy is an imaging technique commonly used to obtain real-time moving images of the internal structures of a patient through the use of a fluoroscope. Photographed in Moscow, Russia.